Budapest will shortly see the fourth edition of its Grand Sparkling Tasting – ’Pezsgő Június’, to be held at the Corinthia Hotel on 16 June. In honour of this occasion, journalists were invited to sample several bubblies along with a couple of amuse bouches at the Caviar & Bull restaurant attached to the Corinthia. 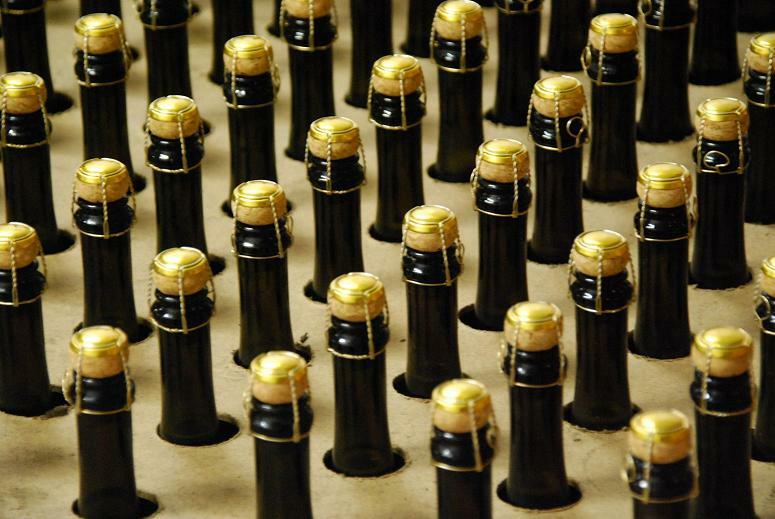 You’ll be able to taste around 80 Hungarian pezsgő (that’s Hungarian for traditional method sparkling wine), Cava, Crémant, Prosecco, Franciacorta Sekt and New World bubblies. And if that’s not enough, there’s also a special Champagne room with 120 Champagnes, including two from the Palmer house which are making their official debut in Hungary at the event. These two Champagnes, the Palmer Brut Reserve and the Rosé Reserve, were the focal point of our mini-pre-event tasting along with Schlumberger Traditional Method Sekt Brut from Welschriesling (as Olaszrizling is known in Austria), Pinot Blanc and Chardonnay, a creamy, zippy bubbly with crisp acidity and lovely apple notes. We also had the chance to try this year’s Hungaria limited edition, a Pinot Blanc Brut, an elegant, fresh wine with peach, white fruit and floral notes. Incidentally, Hungaria has been making a special edition sparkling each year for the last ten years, when they turned 55 years old. However, sparkling wine production in Hungary dates back to the mid-nineteenth century when they were churning out serious quantities first in Bratislava (then Pozsony) and then in Budafok just outside Budapest. By the end of the century, Hungary boasted eight important pezsgő manufacturers, four of which remain today. Our Champagnes were accompanied by some delightful creations from the Caviar & Bull’s chef. The Brut Reserve, a more modern style of Champagne, was paired with delicate sea bass with cauliflower purée and grated lime zest and the Rosé with salmon tartar with white pepper, mustards seeds, strawberry and redcurrants, perfectly complementing the red berry notes of the Rosé. And to complete the experience we were entertained by a spot of sabrage – the art of opening sparkling wine with a sabre. Interestingly, it was the first time I’d seen this done with a sabre rather than a shoe or any other handy implement. 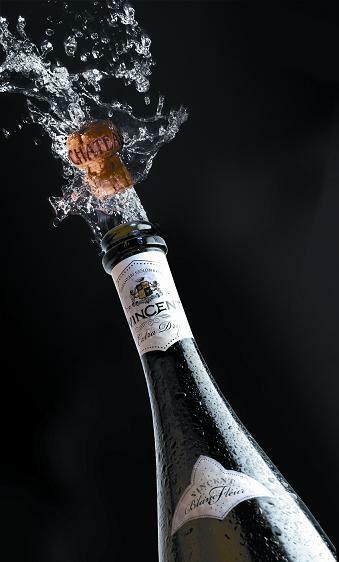 Hopefully, this has whet your appetite to attend next week’s Grand Sparkling Tasting. It’s open from 2 to 10 pm, so plenty of time to taste the bubblies on offer. You can taste sparklers from well-known Hungarian pezsgő manufacturers like Törley and Garamvári as well as those from smaller producers and wineries that you may be more familiar with for their still wines. Etyek-Buda, considered the Hungarian wine region most closely resembling Champagne, will be present on a common stand with wines from eight producers, and if you still crave the real thing, Anett Varró-Turóczi, Champagne merchant, has assembled 120 Champagnes from both small and large houses, vintage and non-vintage, and will be introducing many small Champagne houses. The tasting is more international than ever with seven countries and fifty non-Hungarian wines represented (other than the Champagne, of course). If you’d also like to learn something, there will be two exclusive masterclasses – pairing sparkling wine with oysters and a presentation of eight Prestige Cuvée Champagnes. Four mini courses cover Somló terroir and traditional method sparkling, production of traditional method sparkling wine, Austrian Sekt and Spanish Cava. And if you don’t want to miss out on the World Cup matches, there’ll be the chance to keep up to date while you’re there too! So, if you’re truly a sparkling wine lover, make sure you head off to the Corinthia Hotel Budapest (Erzsébet krt. 43-49) this coming Saturday! Budapest is the place to be in the next couple of weeks for sparkling wine lovers. The city is hosting Pezsgő Szalon (pezsgő being Hungarian for sparklng wine), a series of events and special offers connected to the theme of bubbly taking place both in Budapest and throughout the country. Saturday 20 June – Nagy Pezsgő Kóstoló (Grand Tasting) taking place at the Corinthia Hotel. Here you have the chance to try a wide range of sparkling wines from both Hungary and elsewhere. You could also attend one (or more) or the three masterclasses on offer (Hungarian language only): Champagne and other premium Euopean sparkling wines, Tokaj and sparkling wine, or a vertical tasting of wines from the Garamvári Szőlőbirtok. There are limited places available for the masterclasses, so prior booking is essential. 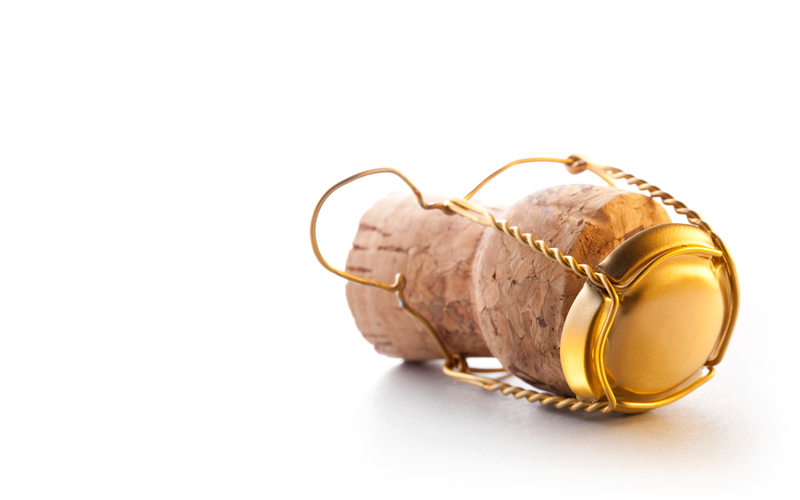 There will be more than 40 sparkling wine exhibitors with their wares for you to taste. 7,900 HUF in advance and 10,900 HUF on the door. Don’t miss it! Also as part of the Pezsgő Szalon programme, the Etyek-Budai Pezsgő Szalon at VinoPiano on 25 June. In this case, the sparkling wines of Etyek and Buda take centre stage with the following wineries in attendance: Kertész Pinc, Kálna Pince,Gombai Pince, Kattra Pince and Törley Pezsgő Pincészet. If you’re feeling studious, you can also participate in some masterclasses with some winemakers. For example on Champagne or New World Pinot Noir. There will also be some artisan chocolate and bonbons on offer too. What more could you want?